When GlobalFoundries announced in September it is pulling out of the race to produce leading edge processor chips, many in Taiwan rejoiced. The move left Taiwan’s largest company by market capitalization, Taiwan Semiconductor Manufacturing Co, as one of just two independent semiconductor foundries with the ability to produce next generation chips. For some, however, the news sent a warning signal. Is Taiwan’s economy following the examples of South Korea and Japan, to be dominated by a select number of conglomerates (better known as chaebol and keiratsu, respectively)? Five constituents of the country’s broadest index of listed companies (TAIEX) make up nearly 40% of the entire market’s capitalization. Apart from TSMC (which makes up 20% of total market cap alone), Foxconn owner Hon Hai Precision, camera maker Largan Precision and computer manufacturer Quanta Computers are behemoths in the local economy. The critical position these companies fill in the global supply chains is enviable, but does make the economy susceptible to a drop in global demand for consumer electronics. With nearly 70% of the country’s GDP related to trade in one way or another, the rise of protectionism is not helping, either. In a bid to diversify economic strengths, emerging businesses known as the “5+2” industries – ‘internet of things’ (IoT), biomedical, green energy, smart machinery, defense, new agriculture and recycling – have become key areas of policy support. For 2018, the Financial Supervisory Commission (FSC) set a target of NT$200 billion (US$6.5 billion) in investment and loans to the seven sectors. A further NT$150 billion is supposed to flow in the three years to follow. According to a J.P. Morgan analysis, bank lending to the 5+2 industries has remained flat since 2016 at 20% of total loans, indicating credit appetite is still subject to a glass ceiling. Coupled with infrastructure programmes, “green energy and digital infrastructure projects are expected to attract NT$1.8 trillion private investments in the next couple of years,” calculates Jemmy Huang, FI analyst for APAC at J.P. Morgan. Assuming 50% of investments are to be financed by bank lending, sector loan values will need to grow an additional 3% to 4%. Prominent success cases funding the 5+2 industries exist but often have an anchor debtor that is well known and easily exceeds credit requirements that a startup would not meet. In June, for instance, a NT$18 billion syndicated project finance for an offshore wind farm just outside of Miaoli in the west coast of Taiwan was sealed. A second phase may see as much as NT$65 billion syndicated. The site is constructed by Swancor Renewable, a subsidiary of TWSE listed stalwart Swancor, the chemicals manufacturer. For companies that lack name recognition or connections to blue chip companies, support is not as readily available. Kevin Ko, chief strategy officer at a Taiwanese manufacturer of biosimilar pharmaceuticals that is exploring a public listing in Hong Kong, recalls difficult conversations with local banks when first starting out. Biosimilars are generic copies of biotech drugs. The company’s business model rides on expiry of patents for complex biosimilar drugs, a market that Ko estimates to be worth US$600 billion. Since the company was started in 2015, it has grown to an operation with a headcount of 150, including 20 PhDs, and four production lines that are at the brink of obtaining international licenses to operate. In mainland China, Ko adds, the experience was quite the opposite. Even without licenses secured, the indication that the company might open up a production site there was enough to attract attention from various investors. “We received almost instant support from a private equity fund. This felt very different from Taiwan, where there is no venture capital culture. Investors only look for immediate returns,” Ko sums up. Having been disappointed in Taiwan, Ko and his team are looking offshore to take their company public. 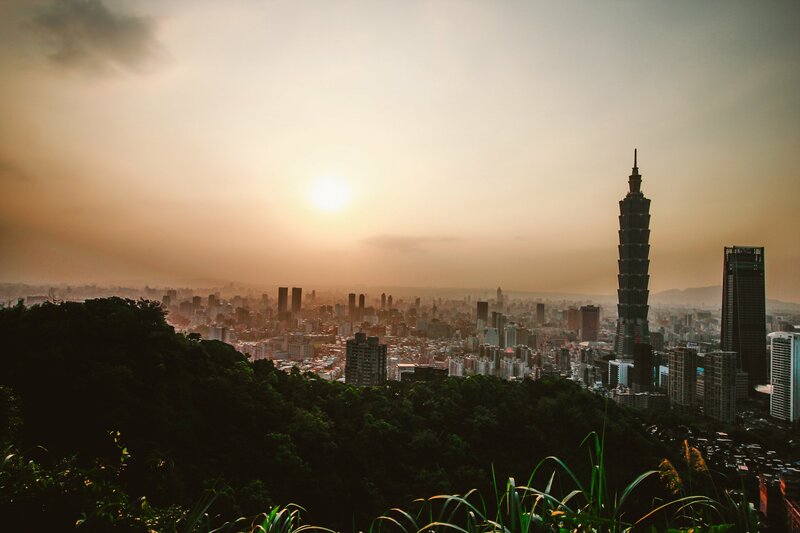 “Taiwan has no successful model company in the biotech sector and price-to-earnings ratios are low compared to the wider market and elsewhere,” he explains. Listing rules are not conducive to attracting entrepreneur-owned startups, he adds and points to dual class shares that have been allowed in Hong Kong and Singapore. “More and more Taiwanese biotech companies, including ours, are going to Hong Kong for public listing due to the new system of listing,” he warns. Investors with longer time horizons and expertise in emerging industries, leading to better valuations, coupled with active government support at the early stages and flexible listing rules could change opinions of some entrepreneurs like Ko on where to list. Indeed, in their latest action plan, the FSC seem to have taken cues from disgruntled start-up companies and their founders. Since earlier this year, procedures and ownership limits have been relaxed for banks to invest in strategic industries, while securities firms are allowed to set up venture capital and private equity businesses. One of the first institutions to seize the chance was Cathay Securities Investment Trust, which is launching its first private equity fund this autumn. Capped initially at US$330 billion, the fund’s investment themes read like an excerpt on how to support the 5+2 industries: new technologies including artificial intelligence and fintech, green energy and the recycling sector. Investors can expect an annualized net yield of 5% and additional funds are planned to be launched in the future. Positive as new private equity investors may be, they alone will not be able to meet the funding needs of the 5+2 industries. One sector in particular is gearing up for infrastructure projects that will easily exceed Taiwan’s high speed rail network that carried a price tag of about US$18 billion: renewable energy. Licenses for more than 5 gigawatt of electricity generation capacity from wind farms, mostly located offshore, have been awarded by the government. Taiwan’s first offshore wind farm is currently under construction, with the bulk of construction to occur until 2025. CTBC’s Matthew Liaw, division head and executive vice president of global structured finance division, expects funding needs for these projects to exceed NT$500 billion by 2020 alone. A significant portion of this will be financed through the nation’s debt capital markets. Government proposals, once implemented, will enable foreign developers of wind parks to raise the necessary finance in the local currency bond market starting in the fourth quarter this year, which will attract big ticket investors outside the lending market. But Liaw is conscious that funding needs alone may not be enough to attract foreign developers to raise the cash they need in Taiwan. Competition for green bonds, in particular, is fierce. In Singapore, fees that arise from certifying an issuance as a green bond are reimbursed up to S$100,000. In Hong Kong, a similar scheme exists, with a limit of HK$800,000. These amounts are not large when considering the total issuance cost, but “[the government] needs to create an environment with incentives for investors,” stresses Liaw. “In international markets, there are more incentives for investors and issuers to promote and support green bond business.” Taiwan could consider similar measures or introduce a reduction of the withholding tax on interest from green bonds to international investors, he adds. On the surface, Taiwan’s capital market suffers from high concentration of blue chip stock and issuers. Investors in the USD Formosa bond market this year witnessed first hand the implicit shortcomings of concentration, as issuance contracted 15% from the first to third quarter of 2018 compared to the same period last year because of changes in regulations affecting the market’s largest group of investors: life insurance companies. New supply of issuers with diversified credit profiles from the 5+2 industries should therefore be welcomed by debt and equity capital markets. Shen, who has overseen portfolio allocation for a small-cap fund for the past nine years, is certain that emerging industries offer a wealth of opportunities for investors if they are ready to embrace them. “Taiwan has a lot of competitive companies. Every time I think the market has run out of trends, something happens,” he sums up.